Are you looking for the best ASP.Net Core hosting for your website? There are many ASP.NET hosting services available today. Due to their sheer numbers, it can be confusing in deciding which one is the best for you. This is especially true if this is your first time looking for one. Don’t worry, we can help you with that. 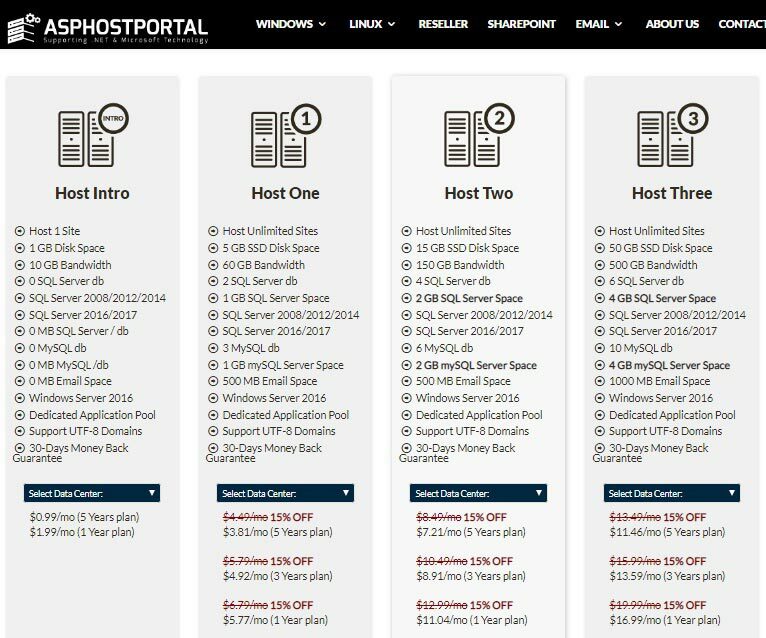 Here, we will give a quick review of ASPHostPortal, one of many hosting services available today. We will give you the company’s overview, its hosting plans, and pricing, the advantages and disadvantages of using it (pros and cons), as well as its customers’ rating. You can use our review here to decide whether to use ASPHostPortal or not. Without further ado, let’s start. ASPHostPortal is a hosting company that has been in the business for 10 years. While most hosting companies are based on a Linux platform, ASPHostPortal is more focused on a Windows-based platform, hence the ‘ASP’ in its name. Currently, the company has servers in 12 cities around the world. It offers various hosting plans with different features. Just like many other hosting services, ASPHostPortal has several ASP.NET Core hosting plans. Currently, ASPHostPortal has 4 types of hosting plans: Windows Shared Hosting, Windows Cloud Hosting, Dedicated Windows Cloud Server, and Windows Reseller Hosting. Each of these plans offers different features, pricing, and structures. We will describe each hosting plans in brief below. The lowest tier, the Host Intro, allows you to host 1 website, 1 GB of disk space, and 10 GB Bandwidth for about USD 0.99 per month (5 years plan) and about USD 1.99 per month (1-year plan). Other features are available on Host One, Host Two, and Host Three plans. The lowest tier hosts 1 website, offers 1 GB of disk space, 10 GB of bandwidth, Dedicated Application Pool and many others for about USD 1.99 per month (5 years plan) and USD 2.99 per month (3 years plan). 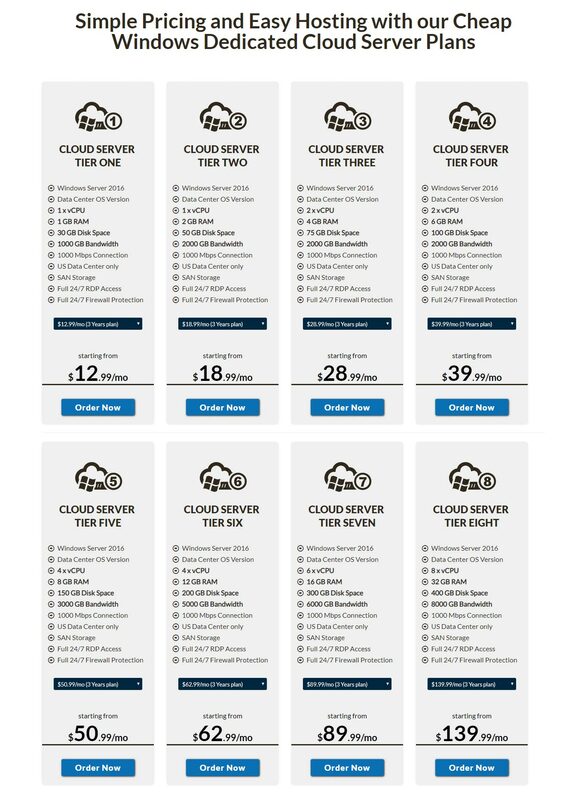 Lots of other features, including unlimited websites hosting, are available on the higher tier plans (Tier One, Tier Two, and Tier Three). The Windows Cloud server plans have eight tiers: Tier One to Tier Eight. The basic hosting plan features 1 vCPU, 1 GB of RAM, 30 GB of disk space, 1,000 GB of bandwidth, 1,000 Mbps connection, and more for about USD 12.99 per month (3 years plan). More CPUs, RAM, storage, bandwidth, and other features are available on higher tier plans. The cheapest plan, the Reseller 10, cost USD 20.39 per month (5 years plan) with features such as 10 websites, 40 GB of SSD disk space, 200 GB of bandwidth, 10 SQL Server DB, and other features. More features are available on higher tier plans. 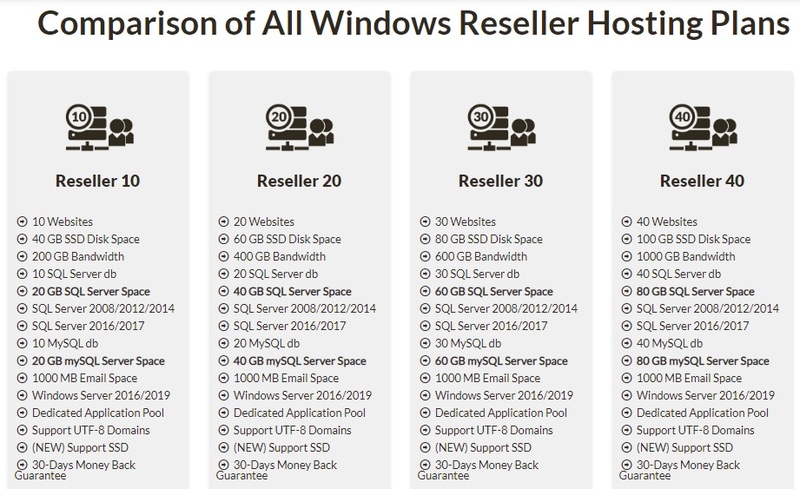 The Windows Reseller hosting plans have four tiers: Reseller 10 through 40. There is no best ASP.Net Core hosting for everyone. Each and every hosting service has its own advantages and disadvantages. The best hosting service for you is one that accommodates your needs and has a reasonable price for the features it provides. Is ASPHostPortal the best ASP.NET core hosting for you? Unfortunately, we can’t answer that for you. That said, we can help you decide whether it is the best or not for you. Below, we listed the pros and cons of ASPHostPortal. ASPHostPortal offers cheap ASP.NET Core hosting plans with lots of features. Its cheapest plan costs only USD 1.99 per month (although it is purchased as a five-year hosting plan). If you want to have a basic website, the price ASPHostPortal is quite inexpensive given the features it offers. There is also a 30-day money back guarantee, in case you are interested to try it. There is no point in having a website that is not available most of the time. As such, having excellent uptime is a must for ASP.NET Core hosting services. For a hosting, the uptime of ASPHostPortal is very high, rated no less than 99.9%. This means that if you use ASPHostPortal to host your ASP.NET Core website, it would be accessible for most of the time. The shorter the server response time is, the better. Short response time means that your website will load faster. Conversely, a longer response time means that your website will load slower. Of course, you’d want a short response time. In this category, ASPHostPortal is a good hosting as it has less than 300ms response time on average. It can be said that one of the strongest points of ASPHostPortal is its customer service. The customer service is very good. The response time is quite short and is available 24/7. The company does not give the details about the technical support team, but this is hardly a downside considering how excellent the service the technical support team gives. 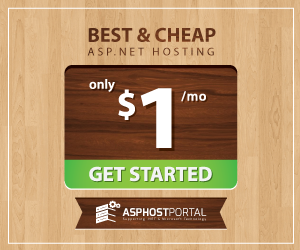 Although ASPHostPortal is relatively cheap in terms of pricing, it lacks a monthly hosting plan. Moreover, to get the cheapest monthly rates, you need to purchase either the one year or five years hosting plan. This is not feasible for everyone who wants their websites hosted, especially those who are on a budget. Overall, ASPHostPortal is a very good hosting. As good as it is, some of the packages that it offers do have limitations. For example, the Host Intro package does not have e-mail service or SQL databases. These features and other additional ones are available on higher tier packages. In short, with ASPHostPortal, you get what you pay for. Consumers ratings are a good indicator of how a company serves and treats its consumers So far, ASPHostPortal has very good consumers rating. 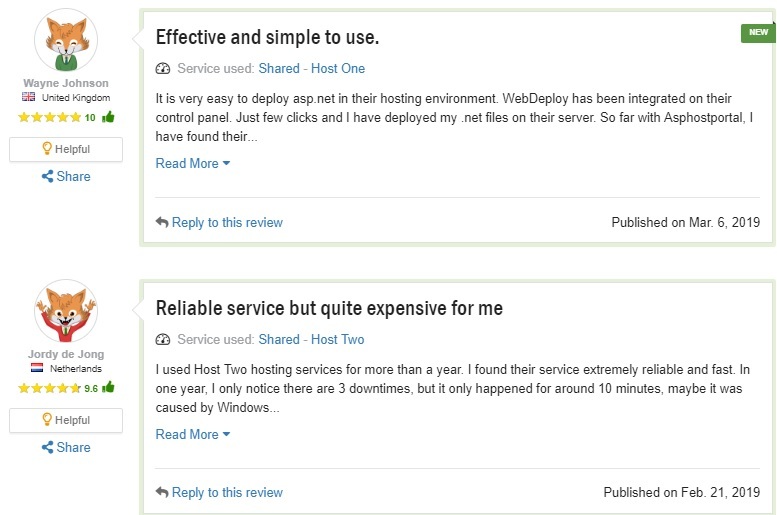 In various hosting review websites, ASPHostPortal has no less than 4 out of 5 ratings. Often, it is rated There are some many positive reviews from consumers while negative reviews are a few. 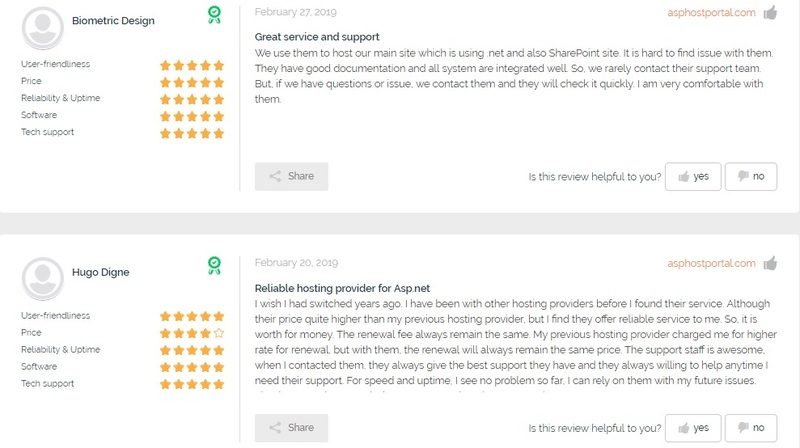 The above is our review of ASPHostPortal, In general, ASPHostPortal is a good ASP.NET Core hosting with cheap plans and various features. It is a reliable hosting as it has excellent uptime, server response time, and capable customer service. It is safe to say that ASPHostPortal is among the best ASP.Net Core hosting today. Don is a writer and digital media consultant. He has a great passion for technology. He has more than 10 years experience in digital marketing.